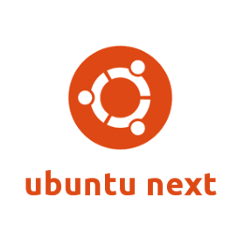 The final beta of Ubuntu 17.04 Zesty Zapus has been released earlier today. Features images for Desktop, Server, Cloud, and opt-in flavors, including Kubuntu 17.04, Lubuntu 17.04, Ubuntu Budgie 17.04, Ubuntu Gnome 17.04, UbuntuKylin 17.04, Ubuntu MATE 17.04, Ubuntu Studio 17.04, Xubuntu 17.04. Krita latest bugfix release – after this popular and advanced digital painting application was split from Calligra. K3B updated to a Qt5/KF5 snapshot of the version to be included in KDE’s next applications release. Kdevelop is now the most recent bugfix release of the new version 5.0.x series. Numerous application and translation updates from KDE. Gtk Theme QT apps out of the box. Flatpak 0.8 is now installed by default. Gnome Apps updated to 3.24 excluding Nautilus file manager, Terminal, Evolution, and Software. Released foxitreader 1.0.1, available in Kylin Software Center. The next Ubuntu 17.04 Zesty Zapus has reached the beta 1 release earlier today. The beta 1 features images for Kubuntu, Lubuntu, Ubuntu Budgie, Ubuntu GNOME, Ubuntu Kylin, Ubuntu Studio, and Xubuntu. Ubuntu Gnome 17.04 includes GNOME 3.24 Beta, Flatpak 0.8, the Software app 3.22 which now supports Flatpak.